So where did the bus go? Pop the Bubble bus tours were a huge success on Welcome Day this year. With about 427 riders on trips Friday afternoon, the HSR drivers and PTB guides were keeping busy. But if you’re anything like me, that ride probably went by in a whirlwind. There is so much to do in Hamilton and we turned in so many different directions, it’s hard to remember everything! Don’t worry; this blog post is here to clear things up! First, check out the map above. It outlines the full route that the tour bus took, and labels all streets. Keep in mind that actual city buses don’t drive this route! Your best bet for learning bus routes is to use Google Maps or check the HSR schedules. Mac students pay about $140 in student fees for an HSR bus pass, so it’s worth taking advantage of the system! 1. Hamilton Brantford Rail Trail – A great paved trail running parallel to main on its south side. It leads into Dundas Valley Conservation Area, and goes all the way to Brantford. 2. Urgent Care Centre – located at Main & Macklin, this facility is the closest place for students aged 18+ to receive emergency health care. They’re open until 9 pm, so after that time, you’d have to travel down to 50 Charlton Ave E to St. Joseph’s hospital. 3. Locke St. S – a great street for walking. Full of shops, restaurants, and cafes, Locke St. is often considered a hip place to go! Also take note of the sidewalk poetry, which can be an engaging read as you walk along. 4. Hess Village – A popular nightlife destination, with many evening bars/clubs that are also great restaurants throughout the day. Located between Main St and King St on Hess St.
5. Jackson Square – the entire block surrounded by Bay St, King St, James St, and York Rd. Includes the First Ontario Centre (large venue for sports, concerts and more), the Hamilton Public Library, the Hamilton Farmer’s Market, and an indoor shopping mall. 6. Cannon St – One of three streets that are continuous throughout the lower city. Is expected to receive two-way bike lanes in 2015, making Hamilton an increasingly more bikeable city. Also on Cannon will be the new Tim Hortons field, which will be home to the Hamilton Tiger-Cats and will host the Pan-Am soccer games when it is finished being constructed. 7. James St N – known for it’s thriving arts scene. “Art is the New Steel” is a slogan that is now frequently used to represent the growing significance of the arts in Hamilton. The street has a number of art galleries and designers, restaurants, cafes, and other shops. On every second Friday of the month, you can enjoy Art Crawl – a street festival celebrating local artists of any kind. 8. 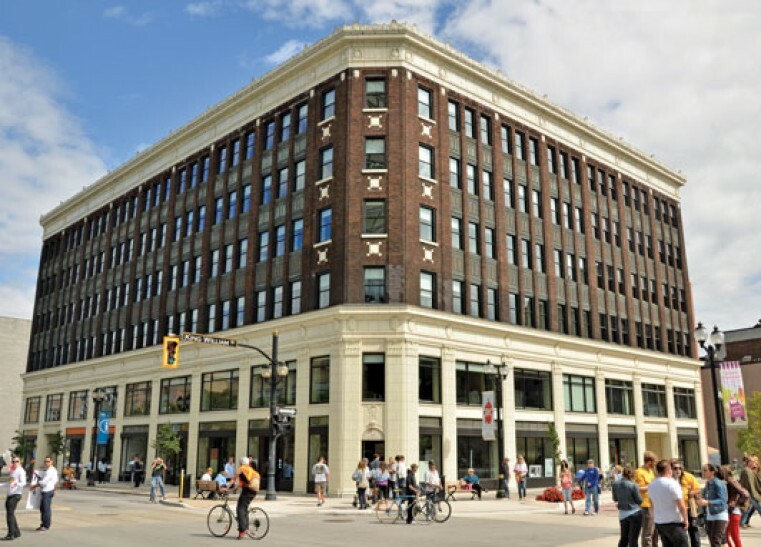 Tourism Hamilton – located within the Lister Block, Tourism Hamilton is a great location to get information on what to do and where to go in Hamilton. 9. MacNab Transit Terminal – an important landmark for those of us traveling far and wide via the HSR. Any bus coming from campus will stop here at some point, where you can transfer onto a number of other buses going elsewhere in the city. 10. Hamilton GO Centre – located at Hunter and James St S, the Hamilton GO Centre has both train and buses that go to Toronto and other locations in the GTA. 11. 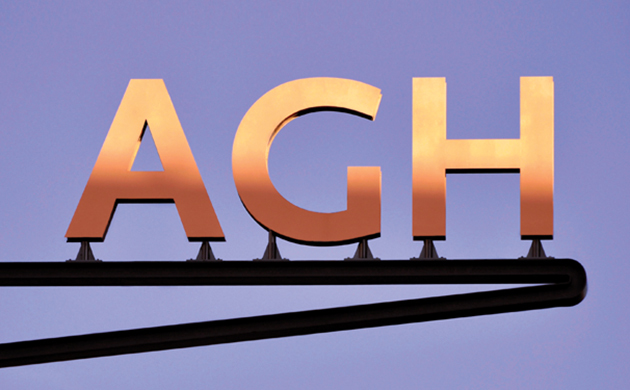 Art Gallery of Hamilton (AGH) – free for students to enter and exciting to explore, the AGH is a large gallery that features a variety of exhibitions, hosts tours, and sells art. 12. Westdale Village – considered by some to be within the McMaster bubble, Westdale Village is close to Mac campus and convenient to access for a lot of student housing. Restaurants, boutiques, and a single-screen theatre are just a few of the amenities that the village boasts. Woah! Hamilton is full of things to do and see. Keep up with us at PTB to learn more about how you can stay involved with the community. ← Welcome Day bus tours!